B.A.F.F.L.E.D. : B.A.F.F.L.E.D. Tops -- Pink! What a great reason to bring back our old feature, Tuesday Tops! October is Breast Cancer Awareness Month. Despite the month having 31 days, this is something we must be aware of all year long. 4. 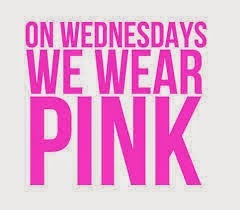 We are continuing our annual fashion for a cause campaign this month, raising awareness through our style on Wednesdays. Share your pics on Twitter, Instagram, Pinterest, and Facebook with the hashtags! 8. 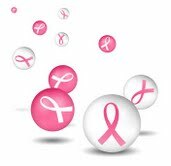 You can learn more about breast and ovarian cancer awareness, risk factors and reduction tactics from Bright Pink. This organization is always doing amazing things across the country to spread awareness and share info on early detection--all year long. Check them out and get involved!